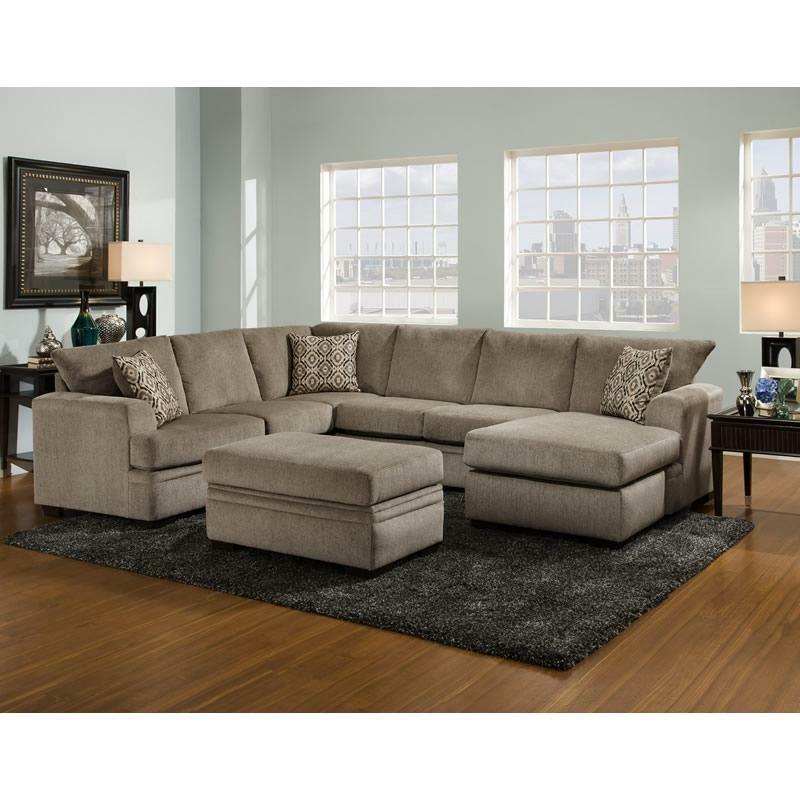 This Sectional in Cornell Pewter fabric by American Furniture Manufacturing features a LSF corner sofa and a RSF 1-Arm sofa chaise with a transitional style and design in simple lines with T-cushions on seat and accent pillows in Indira coal pattern fabric with triangle shape feet in dark brown finish. Volume 186.33 cu. ft. / 5.28 cu. m.